Scary! A product meant to remove your lips and eyes, yikes! So I really wish I had a ton of this stuff. Really, I am more focused with skincare now. The better my skin is, the less makeup I need. And at the end of the day less makeup to remove, I am usually okay with just facial wash but now I can't imagine myself without Etude House Lip & Eye Remover . Alcohol-free, ph balanced remover preserves sensitive areas around the eyes and lips during makeup removal. The makeup remover is contained in a simple plastic bottle. Plastic bottles are great invention for a clumsy girl like me who have a magnet that makes anything fall off. My mom said when it rained clumsiness maybe I was at the front. Etude House Lip & Eye Remover is my very first makeup remover. I was having a hard time removing mascara and I wanted some help from a skincare product. I remembered Etude House offers affordable makeup remover so I tried it. 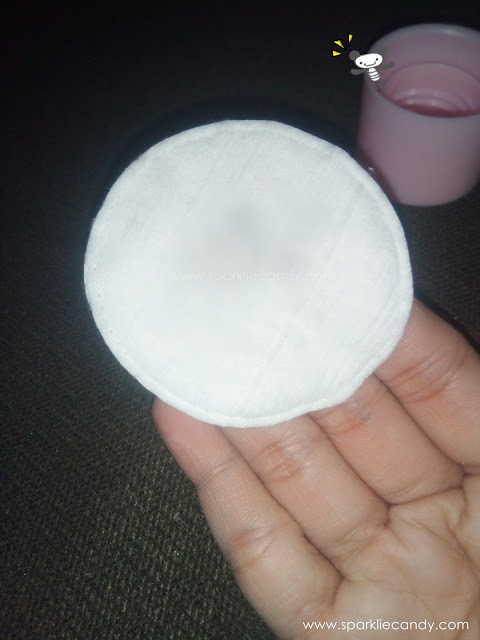 I find the product best applied using cotton pads. The product is like light baby oil and it does wipe off face makeup easily- my foundation, bb cream, lippies and non-waterproof eyeliner... but I had a bit of difficulty in removing my mascara. I use the hypercurl mascara by the way, and it takes a while to remove it. However Etude House Lip & Eye Remover still manages to melt it so it'd be removed, its just not so fast as I expected it to. P198 for 100ml bottle available in Etude House kiosks/shops. Be gentle on removing eye makeup, we don't want premature wrinkles, do we? 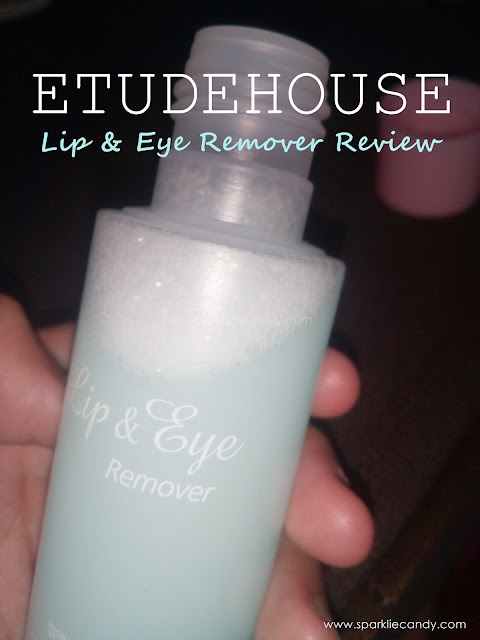 Etude House Lip & Eye Remover is a good product for its price. Now I just can't live without makeup remover, it just makes life easier and of course your skin clearer! A clean skin is one step forward to clearer skin, I believe.